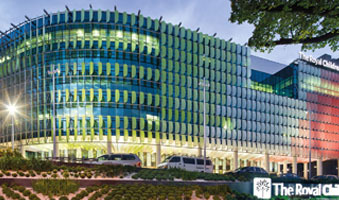 Royal Children’s Hospital, Victoria Waterman undertook the Advisory Role and Brief preparation of the $1.2bn new Royal Children’s Hospital project for the State Government. Waterman Advisory Team has successfully delivered a wide range of Advisory services on large health, justice, education and commercial office projects. • PPP Procurement Advice / Roles (Client / Proponent). • Technical Panel Advisory Services. • Feasibility and Business Case Advice. Waterman undertook the Advisory Role and Brief preparation of the $1.2bn new Royal Children’s Hospital project for the State Government. 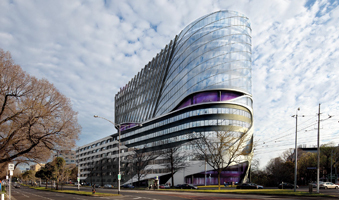 The Victorian Comprehensive Cancer Centre will be the largest combined clinical and research cancer centre in Australia and involves the collaboration of six partner organisations. 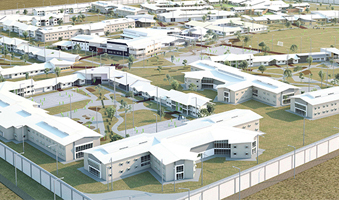 Waterman were engaged as the Technical Advisor to the State government for the new 1,300-bed medium security prison at Ravenhall in Melbourne.